I have been told since a young age “do not take any wooden nickels”. This is more like a wooden silver dollar that leads to more and more money. Grand Dad has been buying houses in Georgia for over a decade now. Grand Dad is paying for leads that turn into purchases. 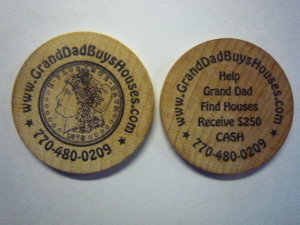 Tell Grand Dad about a house and when he buys it you receive $250. This has been going on for about a decade all over Georgia. 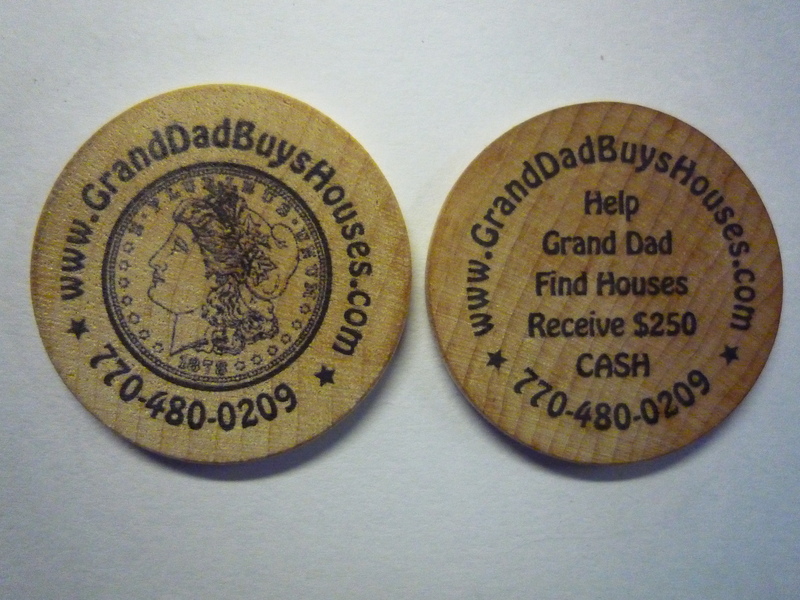 Grand Dad has helped home sellers move Georgia houses both pretty homes for top dollar and houses in ugly situations. Probate homes, fixer uppers, old houses or Mansions, Lake homes and Historical houses Grand Dad has purchased lots of houses. Sometimes funny little videos get peoples attention and may help out a few people. Grand Dad is for real as the testimonials below show.